The SeaDream Yacht Club has been set apart from the beginning; they whisk you away on a more intimate, charming voyage than any cruise line could. 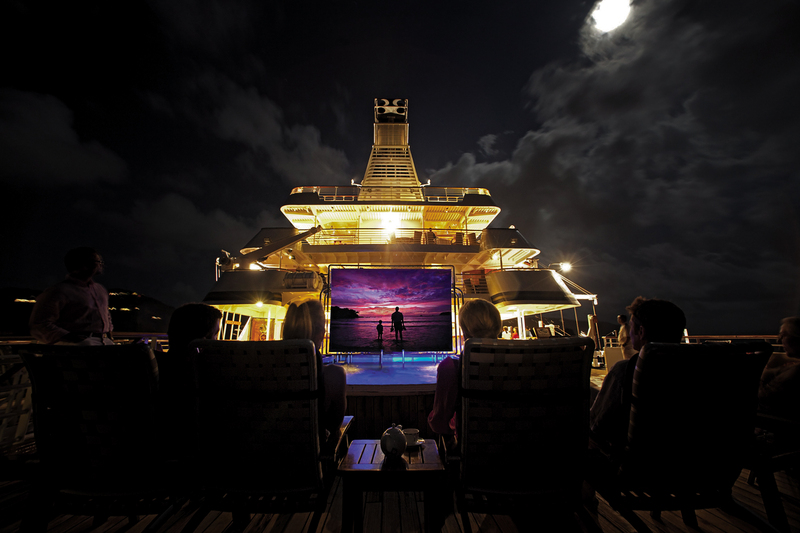 On large cruise lines you can come to expect fun and entertainment for the masses. But, when it comes to attention to detail and personalized excursions, they can seem to fall short. This is where the SeaDream Yacht Club comes in. 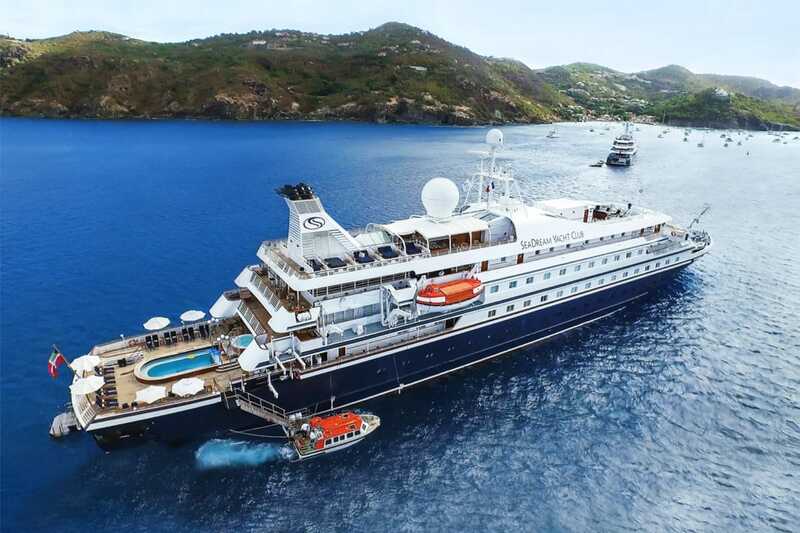 With a guest capacity topping out at one hundred and twelve, with ninety five crew on board, the SeaDream Yacht Club has been created to rise above. Elegant informality, luxury, and the privacy of guests has been crafted in to every inch of the three hundred and forty four foot boat. With six floors, there are plenty of amenities and private spaces built into the twin yachts, SeaDream I and SeaDream II. You’ll never be short on drinks with a different bar or restaurant located on each of the floors of the ship. For places to find some entertainment, sneak away to the card room, the retractable water sports marina, library, or casino. To keep you fit and fresh, there is also a boutique, fitness center, spa, and beauty salon on board. Incase of any medical issues, you can be relieved that there are medical facilities on sight. Lastly, there is a golf simulator as well as Sun Beds in case there are some dreary days at sea. So, whatever you’re looking for in your perfect yacht vacation, the SeaDream Yacht Club can deliver. Each room or suite you can choose from has an ocean view, so you won’t be disappointed whatever your choice may be. Starting on the smaller side, the 54 SeaDream Yacht Club Staterooms are 195 square feet, with many of the rooms being able to connect, doubling your space. This is known as the Commodore Suite. In the Staterooms, you can choose from two twin beds or one queen bed. Each room with have an elegant marble-lined bathroom with a luxurious shower. The living area is ample in size, having a sofa, chair, cocktail table, built-in dresser and writing desk. As with all rooms, you will have a TV, safe, Belgian linens and towels, and wifi in additional to typical boutique hotel amenities. For more space and elegance, bump up to one of the Suites. If you’ve upgraded to the Commodore Suite, you can choose for the second attached room to either have the additional Queen bed or have that switched to a dining area. 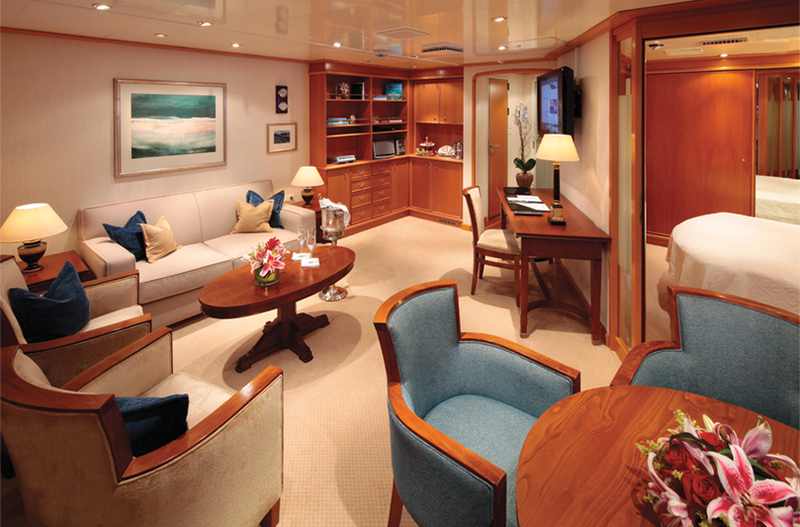 The Admiral Suite is 375 square feet of beauty. With three picture windows, you will have views from both your living and dining area. You will have a private master bedroom with a queen bed and closet as well. Finally, your bathroom has not only the mulit-jet shower, but a soaking tub as well. 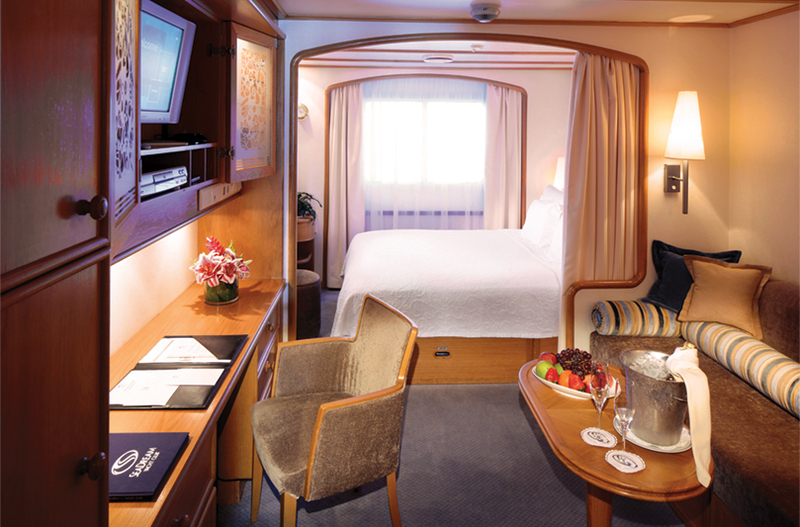 To truly experience the luxury and relaxation that the SeaDream Yacht Club offers, book the Admiral Suite. The last Suite option is the Owners’ Suite. It is similar in amenities to the Admiral Suite, but has a total of 447 square feet and is oriented a little different. The soaking tub has an ocean view, which is hands-down the best spot on the ship. It has a separate guest bath as well if you need to escape as your partner entertains. So, this final choice of suite is the pinnacle of perfection. 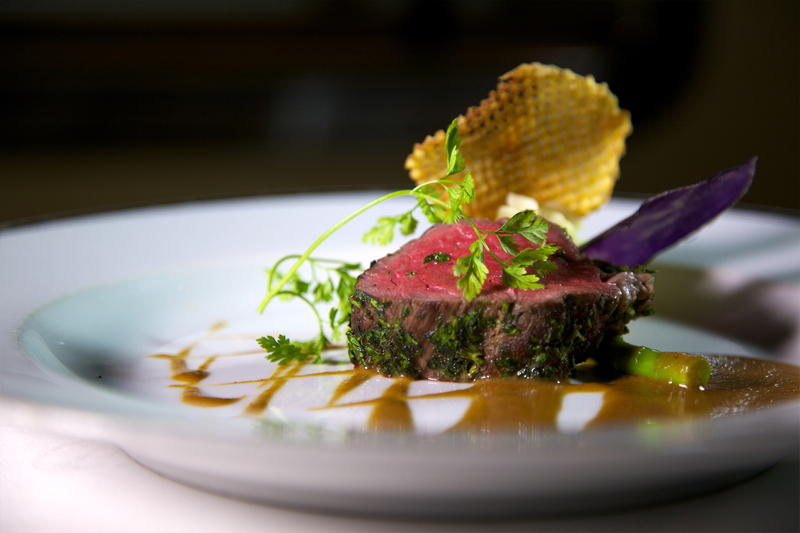 The SeaDream Yacht Club gourmet 5-star dining has gotten praise all around the globe. Whether you enjoy a perfect filet mignon, fresh, succulent lobster, or would like to try the guest favorite, L’oeuf Poule Au Caviar “Surprise”, there are food options for all. If you get hungry at unusual times of day, there are always available à la carte options as well. Included in the price of the yacht experience are Welcome Aboard cocktails and hors d’oeuvres, morning coffee, afternoons snacks, and tea service. There is an after-dinner gathering called the Dessert Extravaganza, and, yes, it is exactly as it sounds. It is a delectable display of the finest baked treats, pies, tarts, ice cream, and even bananas foster. It is simply the perfect end to a day in the sun. If you desire a raw, organic, or vegan diet, these are all available as well. This menu has been designed in collaboration with the Hippocrates Health Institute to provide every meal as well as dessert. There are sugar-free and gluten-free options as well. If you need to create any type of menu for your stay with the SeaDream Yacht Club, let them know so they can cater to you. They truly understand that the right food is essential to your vacation. On a final note, the wine list is out of this world impressive, as well as the teas. Both have been hand-crafted especially for the SeaDream experience, so take advantage of the pairings and service. By day or night, there is a plethora of things to do to keep you relaxed and having fun. The first option on board can be used for sunbathing or for sleeping under the stars: the Balinese Dream Beds. These cozy beds have been tucked away around the ship and have pillows and lush blankets available. Finally take that perfect afternoon nap you’ve wanted all year, or sleep under the stars with your beloved. Start your morning with yoga on deck before taking a dip in the pool. If it’s a little cloudy for your taste, take a try on one of the thirty virtual golf courses available. If these activities on board aren’t enough, the activities for the water include sailboats, catamarans, kayaks, banana boats, tubing, wake boarding, waterskiing, snorkeling, floating island & trampoline, stand-up paddle-boards, and jet skis. For your afternoon or evening pleasure, enjoy the bar atmosphere at the Top of the Yacht Bar. Whether it’s a fine cigar, delectable nightcap, or a little afternoon pick-me-up, you’ll find it here. Often filled with dancing and live guitar music, it’s the hot spot on the yacht. The Casino is open into the night if you’re feeling lucky, but if you think you’ve found your voice, hop on over to the Piano Bar and request a tune. There will also be movies out on deck with all the fixins’, as well as a library with board games to challenge your new friends. The smaller size of the SeaDream Yacht Club vessels allow for you to port in more unique, exclusive places. At each port, there will be ample activities led by the crew. Whether that’s a food tour and shopping trip with the chef or mountain biking along the beach, you can feel cared for with the SeaDream Yacht Club staff nearby. If you have something specific in mind you’d like to try, ask away and they will see what they can deliver! For those on the Caribbean Voyages, make sure to enjoy the Champagne & Caviar Splash. A time-honored barbecue on a white sand beach is exactly what is needed to celebrate an arrival to these beautiful islands. If you’re a wine connoisseur, take a spin on one of the hand crafted Wine Voyages. The Wine Director Ida Dønheim has put together the best ports in the Mediterranean to experience the most renowned wineries. These voyages will include two complimentary wine tastings, a Winemakers Dinner, and two wine related Yachting Land Adventures. Whatever is your hearts’ desire to be able to relax and tune out the rest of the world can be found at the SeaDream Yacht Club. Reviewers have nothing but admiration for what the SeaDream Yacht Club has put together in their voyages. From the exceptional staff that goes above and beyond, to the small touches in the cabins, you can truly feel the attention to detail. The only bad things people have to say are usually about other ship mates: losing too many rounds of blackjack or belting karaoke at the piano bar after a few too many drinks. But, if you stay away from those, it is going to be an absolutely marvelous time. A cautionary note: this luxury comes in the form of detail and personalization. Not in large cabins and space to run. Remember, you’re on a yacht, not a cruise ship. For those seeking a still delightful experience but hoping for a lower price point and more options, check out the Regal Princess. A full on cruise ship, you will have a multitude of dining options and entertainment to choose from. The array of rooms to stay vary from the simplest of bunk rooms to exquisite balcony-clad suites. This cruise-line tends to be more couple-focused, just like the SeaDream Yacht Club. For a classier step up from the Regal Princess, but still a cruise-line, try the Crystal Serenity. A newer fleet ship, it has been outfitted for more space and detail all around. One of the perks of this ship is that it has over twenty destinations, compared to SeaDream’s four. This is on the classier end of cruise ships, so it tends to attract a retired, “country club” crowd. Keep that in mind before booking your family vacation here. The Oceania Marina is a mid-sized vessel, so in between the SeaDream Yacht Club and your oversized cruise ship. This allows for still larger suites and more entertainment than a yacht, but more attention to detail than a full ship. The Oceania Marina has all the amenities that the SeaDream Yacht Club has, but bigger. So, take a minute to think about what you really want out of the experience before booking. 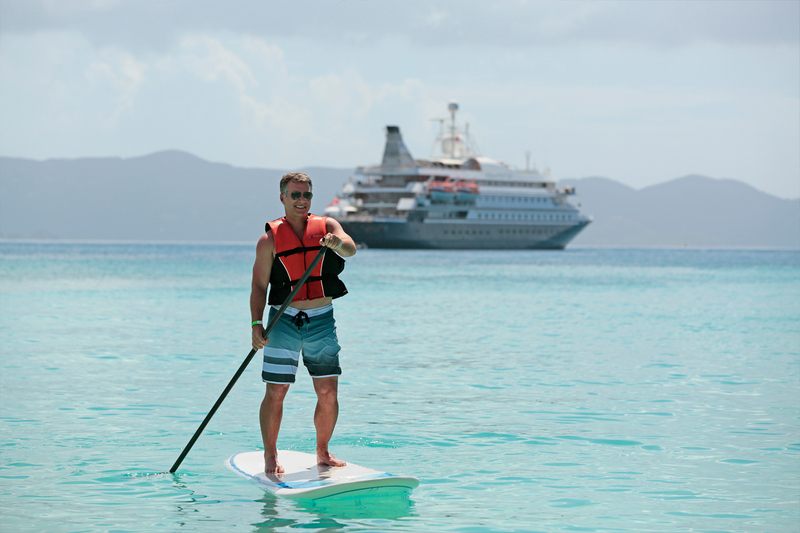 The SeaDream Yacht Club is ready to call you by name and whisk you away on your personal floating paradise. 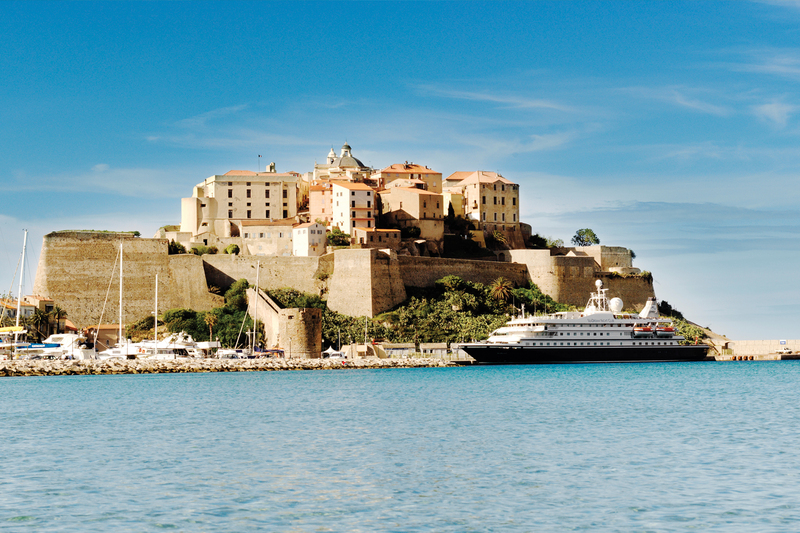 If you’ve always wanted to try out cruising experience but felt bogged down surrounded by thousands of people, the SeaDream Voyages are a great choice. With a limited number of guests, the staff will know you by name and know your preferences. Still having wonderful amenities and activities, don’t hesitate to book your sail today.